Check Updated Skilled Occupation List Canada 2014! Does Your Profession Find Mention? To use the updated skilled occupation list for Canada 2014, the aspirants require a minimum of one year work experience in any of the skilled occupation mentioned on the List 2014-15, they should have scored a minimum of six bands in each module of IELTS, and must also have scored a minimum of 67 points based upon their education, experience, English ability, and adaptability. The aim of the list is to meet the increasing demand of manpower across the country, in the various sectors. Professionals with the needed qualifications–and a desire to permanently settle in the maple leaf country—will be given preference. The list has a sub cap of 1000 with an overall cap of 25000, and the applicants who have a prior job offer are not counted under the cap. Such applicants are straight away granted Canadian Permanent Residency. The program is valid throughout the nation, except the Quebec province. It is very likely that the cap would be met sooner than expected. If you want to avail the opportunity, you have to move fast. Attention HR Professionals! 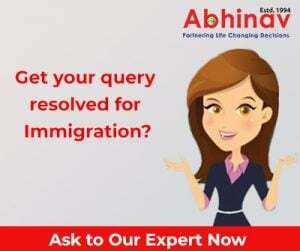 Immigration to Australia from India Now Possible! Australia Immigration for Skilled Professionals—A Great Option!